Including: Sony, Toshiba, LG, Samsung, Philips and More! Qtel, located in Victoria, B.C. Canada, services all brands of televisions, computers and projectors available today. Being constantly updated and trained in the latest technology, our technicians have experience repairing LCD TVs and Electronics by: Sony, NC, Toshiba, Hitachi, Denon, Marantz, Samsung, JVC, Prima, Legend, Insignia, Dynex, Akai, Mitsubishi, Technics, LG, sharp, Philips, RCA, HP, Canon, ‘ Yamaha Music ‘ and Zenith brands. Our technicians are familiar with the most popular TV models on the market today. Come to us for any Victoria, Saanich or Nanaimo services or repairs you require for 32”, 37”, 40”, 42”, 46” Panasonic Viera televisions; Samsung LN32A450, Samsung PN50B650, Samsung LN52B750, and Samsung UN46B7000 models; as well as Panasonic TC-P50V10 and Panasonic TC-P50G10 models. 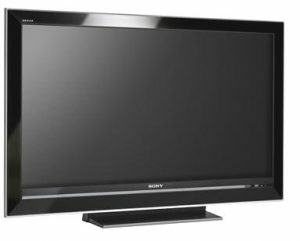 More popular models we service include 22”, 32”, 40”, 42”, 46”, 52”, 55”, 60”, 65” or any other size Sony Bravia, Toshiba Viera, and Sharp Aquos models. Call 250-388-9333 for at home, on site or in store professional advice on any electronics services, or for a qualified Vancouver Island, BC, Canada TV, computer and other electronic parts dealer. Please call the Victoria office to arrange a pickup as we are in Nanaimo 3-4 times per week. 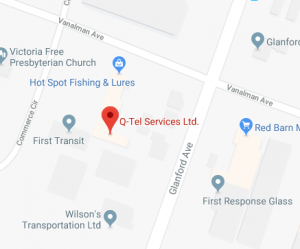 Q-Tel Service is located in Victoria, BC we are the #1 rated repair shop for appliances, electronics, and cell phone repairs. Providing quality service to the entire island.